INLEAD - Job Oriented Program | 100% Campus Placements | MBA and PGDM Programs: No frills: are economy hotels taking the center stage today? No frills: are economy hotels taking the center stage today? Travelling has become a global phenomenon and has contributed to the rise of economy/budget hotels globally. The growing popularity of budget accommodation brands have led to many of the luxury brands including the same in their brand portfolio. The budget brands offer value, ease and suppleness within the realms of affordability. It’s an understood fact that economic liberalization is gaining momentum and with that business travel has increased in leaps and bounds. While there’s a rise in the disposable income of the middle income groups, the interest within the same segment for travel has also contributed to the upsurge of economy sized hotel. It's not only airlines which are cashing in on the 'no-frills' model but hotels as well. According to the Indian Association of Tour Operator's (IATO), in India, there are around 1,285 budget hotels with a 51,000 room keys. Owing to the growing response, hospitality players are now intensifying their operations in the budget category. According to HVS International, a hotel consultancy, economy/ budget hotels have great prospective across the country. What works better or could be considered successful would if the hotel has a brand affiliation or a unique USP to survive. Queries for branded budget hotel in India are growing by 179% year on year as compared to just 36% year on year growth in standalone budget hotel queries. Budget hotel queries already account for 35% of total accommodation searches and a large share of 47% of search queries are for the brands providing budget hotel inventory online. So, does staying at budget/economy hotels mean that one has to compromise on quality; of course not the hotels cut out on certain services, but not at the cost of quality. Budget hotels scale down certain non-essential services to reduce cost. One of the reasons for this sudden demand is the demand for accommodation in tier I, II and III cities and also their low operational cost. 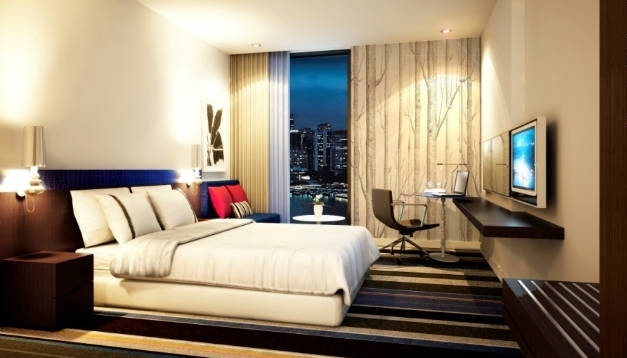 No frills hotels are for those who look for clean rooms, comfortable surroundings and hygienic washrooms. They also offer the regulars such as laundry, Wi-Fi, multi cuisine restaurants etc. other facilities or services required will be provided at extra cost. They attract students, business traveler, corporate on a slab system and at times airlines. They are quite popular in the domestic market and also have a demand from inbound traffic too. Budget hotels have a promising market, but needs to focus more on a quality and personalization driven approach. The hotels to a large extent are able to achieve this because they have lesser number of rooms which helps them offer personalized services. Getting guest feedback will also help in improvising on service standards. Branded hotels or chain segments in this category are able to also generate brand loyalty and repeat business.